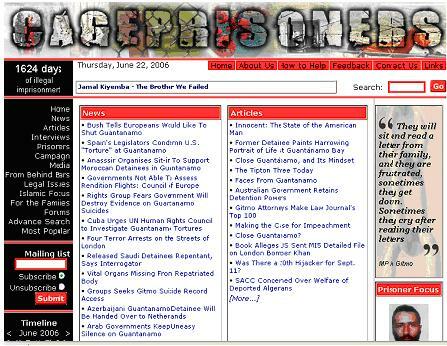 Cageprisoners.com is a non-sectarian Islamic human rights website that exists solely to raise awareness of the plight of the prisoners at Guantanamo Bay and other detainees held as part of the War on Terror. The web-site is not aligned to any Islamic group or organisation. The site was launched in October 2003 during the Muslim holy month of Ramadan by individual Muslim volunteers. 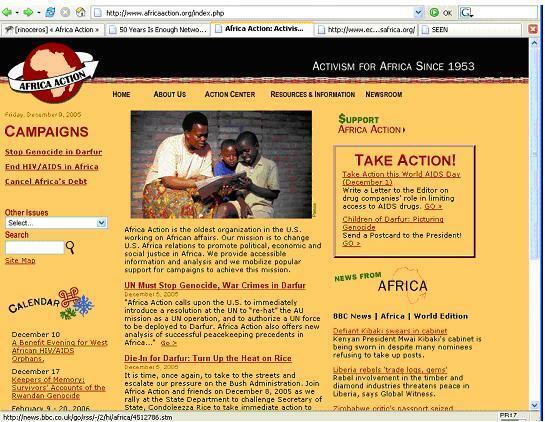 Their website provides a range of resources on African affairs, Africa policy, and U.S. relations with Africa. The site includes areas to read publications on line on the featured issues, take action or read the latest news articles. 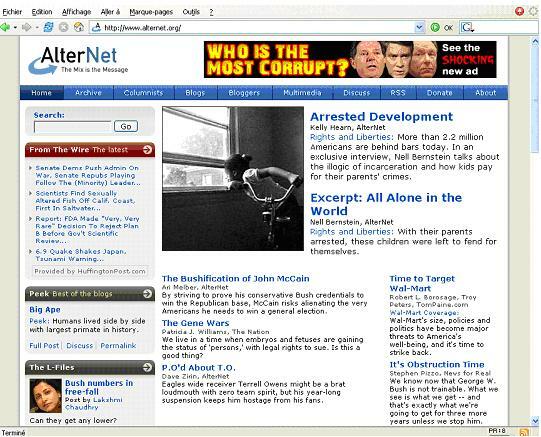 Since its inception in 1998, AlterNet’s online magazine provides a mix of news, opinion and investigative journalism on subjects ranging from the environment, the drug war, technology and cultural trends to policy debate, sexual politics and health issues in America. 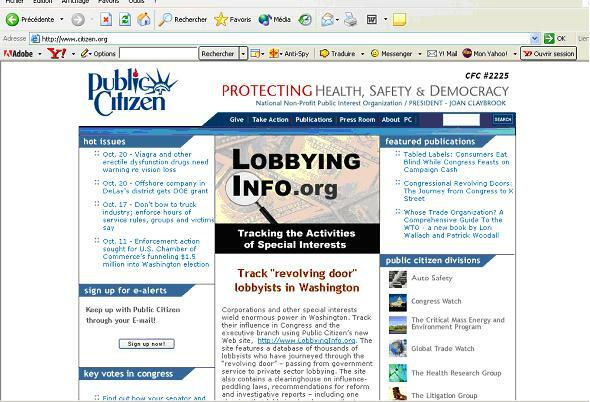 The AlterNet article database includes more than 7,000 stories from over 200 sources.